Mark Melaas has been to my home on two occasions and both times has been very helpful and informative about what was going on with my furnace. Ross provided me with several options for our new systems. Furnace died in 3degree cold. Ordered Amana furnace to replace Bryant. Good news I got furnace installed next day for about what I expected. Bad news is this furnace seems a lot louder than my ojd one. Hi Mr. France! We just left you a voicemail. We would like to have a technician stop over - your furnace shouldn't be noisy. Please call us back at 815-874-2852 so that we can come take a look! explained what he did with A.C unit ,what concerns i should know about. Had no heat. Within 90 minutes of calling Axberg. We were good to go! I will never use anyone else! Our technician Gary was so personable and knowledgeable and had calmed me down right away. He had us up and running 90 minutes after I called! Amazing! Awesome price too. Thank you so much for caring!! It's very rare these days! Great service. Prompt. Called during business hours, same day service without "overtime" charges. Friendly. Very knowledgeable. Higly recommend. Tom and Jeff were prompt, efficient and courteous. I woke up this morning to a very cold house. Unfortunately I don't already have a "Furnace Guy" that I usually call. So I made 2 calls to local HVAC companies before calling Axberg. The first one said some thing like "We can get someone today, but it will be after 4 pm which is overtime, so there will be an extra charge" The negative response to my call made me feel like I was troubling them, and that I would be silly to pay the extra fee to have them come out, so I declined. My next call was answered by a machine, so I hung up. I couldn't take a chance on wasting time waiting for a callback. My call to Axberg was answered by a very helpful voice. She indicated that she would get someone to me as soon as possible, but they were very busy with the cold weather, so it might be between 5 -7 pm. I agreed but about an hour later I was surprised to received a call letting me know Ryan would be knocking on my door within 45 minutes or so. I found Ryan to be very friendly, knowledgeable, and professional. He was able to quickly diagnose the problem and I had heat again within the hour. I could not have asked for a better experience. The price of the repair was very reasonable. During the repair process, Ryan was able to answer all of my "layperson" questions concerning my furnace and gave me some ideas of how to get the most from my furnace to heat and cool my home. I was impressed by the fact he put the shoe coverings on upon entering the house, his tools were all kept clean and orderly and he seemed to have all the special tools he needed to maintain my furnace. I am very happy to have chosen Axberg to service my furnace today!! Rosario was excellent. He didn't rush the appointment. When we had more problems he came back in the evening. Perfect service person and a great representation for your company. Technician focused on sales on not repair. Wanted me to buy a new furnace due to "cracked heat exchanger". I got a second opinion. (1) Heat exchanger has a lifetime warranty (parts and labor) thru Carrier. Black Diamond salesman/tech failed to mention that. (2) Turns out there was absolutely nothing wrong with heat exchanger or furnace. Fault traced to buildup of wasp nests in intake, so sensor tripped for low airflow. 10 minutes to clean. 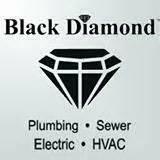 The whole experience with Black Diamond appears in hindsight to be a scam bordering on fraud.